Federal Reserve Board in Washington DC. comment on the balancing act that relationship can often be. The title is from a poem by e.e.cummings. 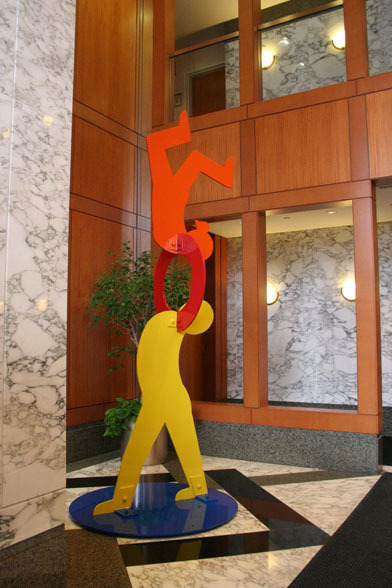 "Two Are Halves of One" © 2006 by Peter W. Michel Painted aluminum, 9'-9" h x 3'-10" x 4'-2". Originally shown at the Art in Public Places - Stamford Downtown exhibition in Stamford, CT in 2006. Also available in a painted wood tabletop version.